Thank You for Helping Charity Bloom! Thanks to everyone who came out to the 2018 Plant Sale! We appreciate the amazing support of shoppers, volunteers, vendors, & donors. You all have helped strengthen our community & helped those in need. Large selection of our most popular items and gifts are available online! 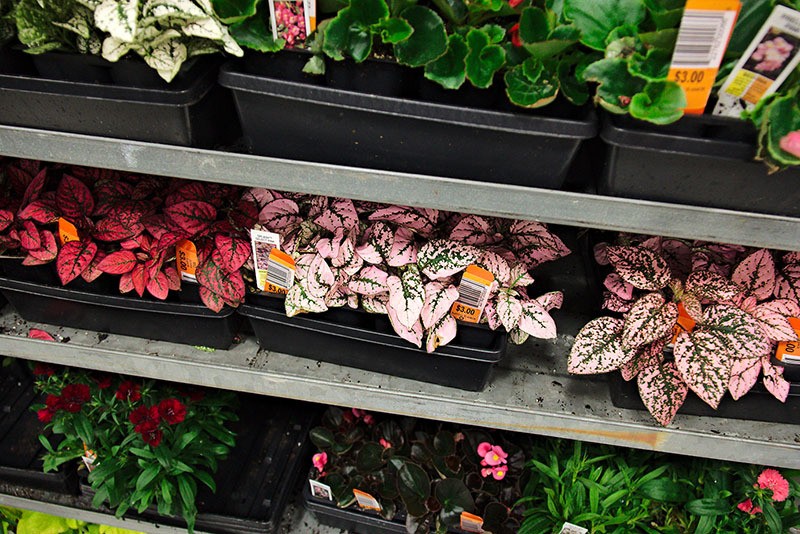 Shop now with convenient pickup at the Plant Sale on Saturday April 13th or Monday April 15th. A great way to guarantee your favorite items won't be gone. Our entire selection of over 10,000 plants will also be available on Saturday, April 13th at the Plant Sale! The Home Grown selection is a favorite for those who enjoy great bargains and uncommon finds. These treasures are donated by local gardeners and generate 100% profit to benefit Fayette Cares. If you are cleaning out and thinning your flower beds, we ask that you donate these plants for the Home Grown section of the sale. Donations of plants like perennials, small shrubs, and more are welcomed. Have plants to donate but are short on time or don’t want to dig them up yourself? Call John Tracy, Fayette Cares volunteer - info below. Leave a message at: (901) 465-4127 or click the button below. Kids can have fun while you shop! A special place for kids to have fun! All activities are FREE! Games, Bounce House & Other Fun Activities! Entries must be submitted by 12 Noon on April 13th. Entries can be colored ahead of time. Click below to download additional information, rules and the coloring pages. 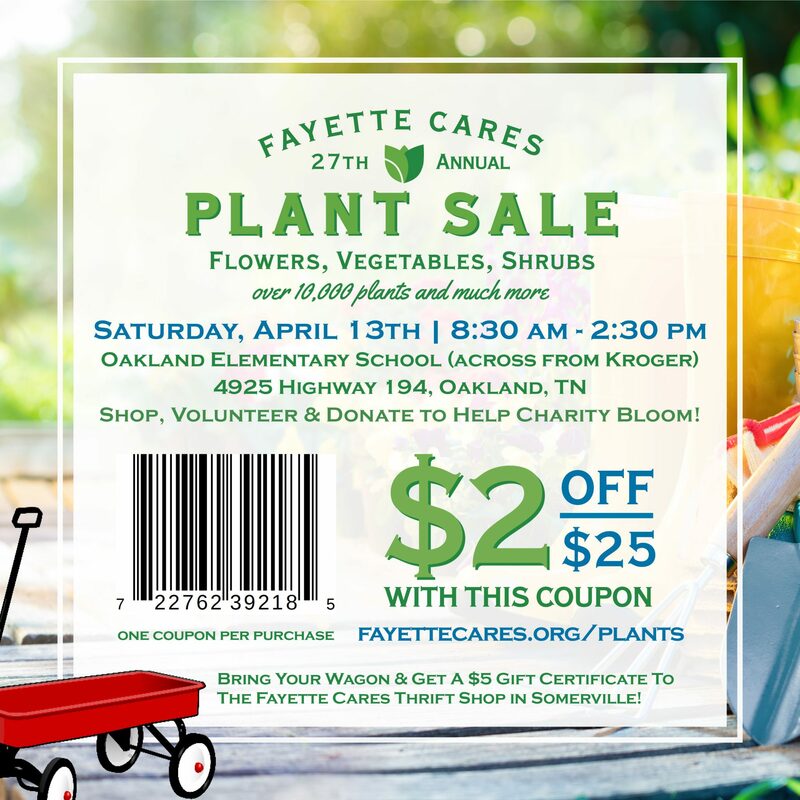 Take pride in investing your time to support the work of Fayette Cares. Get invites, event info, news, updates and promotions in your inbox!